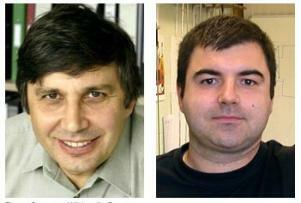 Today we learned that Andre Geim and Konstantin Novoselov, who performed groundbreaking experiments in Graphene, were awarded the 2010 Nobel prize in Physics. They got the prize "for groundbreaking experiments regarding the two-dimensional material graphene". Congratulations guys! It is a great breakthrough in technology especially because graphene applications can be possibly used to replace silicon computer chips and so on. Good work! Congratulations guys! You deserve this recognition. Bring home the beacon.